How did the James Lawson Institute Begin? 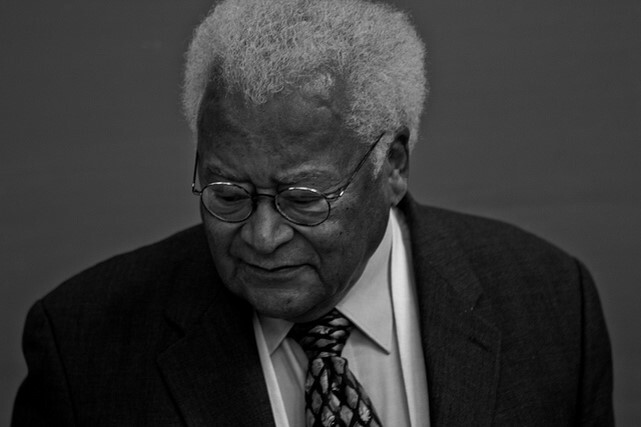 When the Reverend James Lawson asks you directly to do something, you tend to say yes. So it was in 2012 that he asked my organization, the International Center on Nonviolent Conflict (ICNC), to hold an institute on organizing movements and strategic nonviolent action. The institute would serve North American participants, look at the art and science of nonviolent conflict, and apply scholarly and practitioner knowledge from diverse places (including movements abroad) to the political scenes in the United States and Canada. Jack DuVall, President of ICNC at the time, considered the idea, discussed it with Board Chair Peter Ackerman and me, and we all agreed. Holding an institute for North American organizers and activists had not been part of our plans. We are an international organization dedicated to studying, educating people about, and developing new resources related to nonviolent civil resistance and how it can be waged to further rights, freedom, and justice around the world. While our focus on nonviolent conflict was completely compatible with the proposed institute’s goals, the countries on which we had usually focused were led by authoritarian rulers in non-democratic political systems, and our networks and experience were more international than domestic. Yet convenience and pre-existing plans are generally not what elevates people to respond to the demands of the time. Instead, one hears a calling. In the end, Reverend Lawson thought such an institute was needed and he was right. An Institute like this is needed—emphasizing a strategic perspective and empirical approach to building movements and nonviolent conflict—and we were the ones who could make it happen at that moment. This was a moral decision, and we would figure out implementation as the idea developed. We assembled a team, gathered advice, and began a deliberative process of developing the program. Meetings sometimes lasted six hours, with Reverend Lawson actively engaged for the full duration. It soon seemed clear that the institute should bear his name. We asked him if we could do this, and he hesitated; he never sought to affix his name to this effort. With his ideas, spirit, experience, and legacy intertwined with the whole endeavor, he ultimately accepted our recommendation after talking with his family. We held the first James Lawson Institute from August 17-24, 2013, at the Scarritt-Bennett Center in Nashville. We held the second there also from August 16-23, 2014. A combined 91 participants attended JLI over these two years. They came from all over the United States, some with immigrant backgrounds from Latin America and elsewhere, and several from Canada. Diverse perspectives, generations, interests, issues, and regions were represented. Each institute became a community. Friendships were formed and alliances built. People engaged with their head and their heart, brought their passion and knowledge, and we learned, shared, and taught each other. Participant-led presentations on topics of their own choosing and small breakout groups. In addition to learning from the experiences and insights of participants, we found ourselves absorbing a large number of lessons concerning how to build on the experience of the first two institutes. We took an inventory of what had gone well and also identified areas that merited attention and improvement. A common response from participants was that JLI had been powerfully transformative, both intellectually and socially. People talked about the impact of peer learning and mentorship at the institute; the quality of presentations, content, and activities; the friendships and communal bonds that were formed; the reigniting of hope and confidence; and stepping back from one’s day-to-day organizing in order to reflect. After two years, it became increasingly clear that the Institute needed to grow. Individuals asked about the feasibility of multiple institutes per year, starting regional institutes in different locations of the United States, adding new content and additional speakers, building a structure for an organizing committee, and increasing recruitment. The JLI had momentum and was meant to take wing and continue to fly. Back on the ground, the question ICNC faced was whether we could more permanently enlarge our capacity and focus to accommodate the burgeoning demand for the Lawson Institute while maintaining our many other program commitments internationally, which has been at the core of our work since our founding in 2002. Success brings its own challenges. As 2015 approached, it became clear that ICNC could not expand sufficiently to support the Institute’s ongoing development and evolution. JLI would need to establish its own funding and capacity to continue to fulfill its potential. Through the dedication and hard work of those who were inspired by this vision, and who have persisted amidst uncertainty to build a new foundation for it, the James Lawson Institute has been re-established in 2017. The organizing entity for it has changed, but the aims remain the same, and need for such an institute has grown. In a world that often presents hopelessness, senseless violence, indifference, or distraction as responses to injustice, the Lawson Institute draws from a deeper well. It is nourished by our shared humanity and invigorated by the highest traditions of those who defied the odds and nonviolently organized themselves to make their countries and societies better. For the United States, Canada, or any nation to live up to its higher values and aspirations, society must accept the fact that nonviolent struggle is a proven part of the process by which humankind moves forward and progress is made. Building the skills, knowledge, and community to support this is how the James Lawson Institute gives to us all.